As an aircraft owner, one of the most important things you should consider is aircraft insurance. Aircraft insurance will give you the comfort of knowing if anything were to go awry, you wouldn’t lose thousands of dollars. Because there are so many different types of aircrafts and aircraft owners will different wants and needs, there are several different options for aviation insurance. To help you get started with choosing an aircraft insurance policy, let’s take a look at some of the basic type of insurance. In-flight insurance covers a plan for any damages that may be sustained while the plane is in motion. Because not all insurance policies cover damages sustained during motion, it’s important to understand what this policy type covers. Unfortunately, this type of insurance tends to be one of the more expensive policies because most accidents happen in the period that it covers. But with that in mind, it’s also one of the most necessary insurance types. This insurance coverage is similar to the non-motion Ground Risk Hull Insurance, but instead, it covers damages obtained while the plane is in motion on the ground. This may include damages sustained while the plane is taking off or taxiing. Certain types of pilots and planes may be required by law to have this type of insurance. It provides insurance for passengers riding in the aircraft while the policyholder is operating it. It provides money for any injuries sustained on the plane or final expenses in the event of a fatality. This type of insurance coverage is typically mandated by law in several places. It provides coverage for any damages that occur to third-party entities and property. 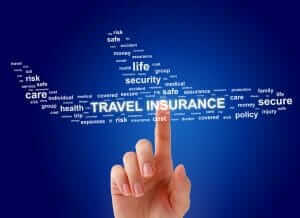 However, this type of insurance does not cover any damages done to the plane or passengers in the plane. If you own an aircraft, it’s important to ensure you, your plane, and any passengers will be protected if there is an accident or crash. With there being 584,362 active pilots in the United States in 2016, there are plenty of aircraft insurance companies willing to help. It’s important you get a variety of aircraft insurance rates and find an aviation insurance agency you feel comfortable with and can trust.